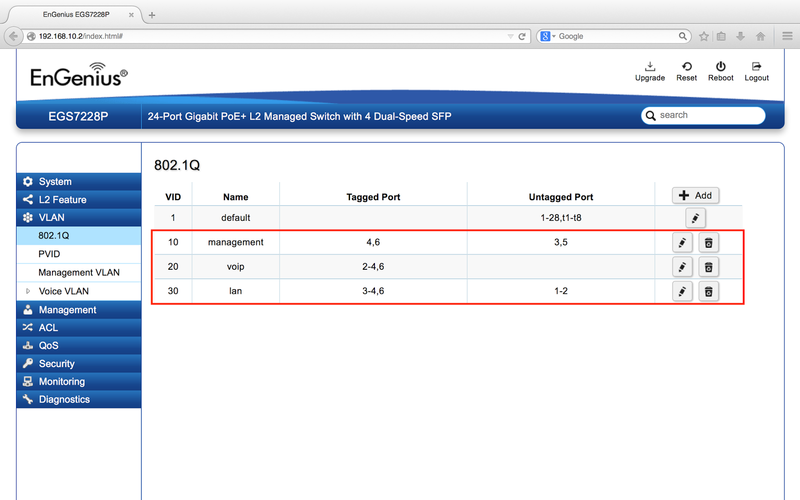 In the configuration example we will explain how to configure VLANs on an EnGenius Smart POE Family series of switches. 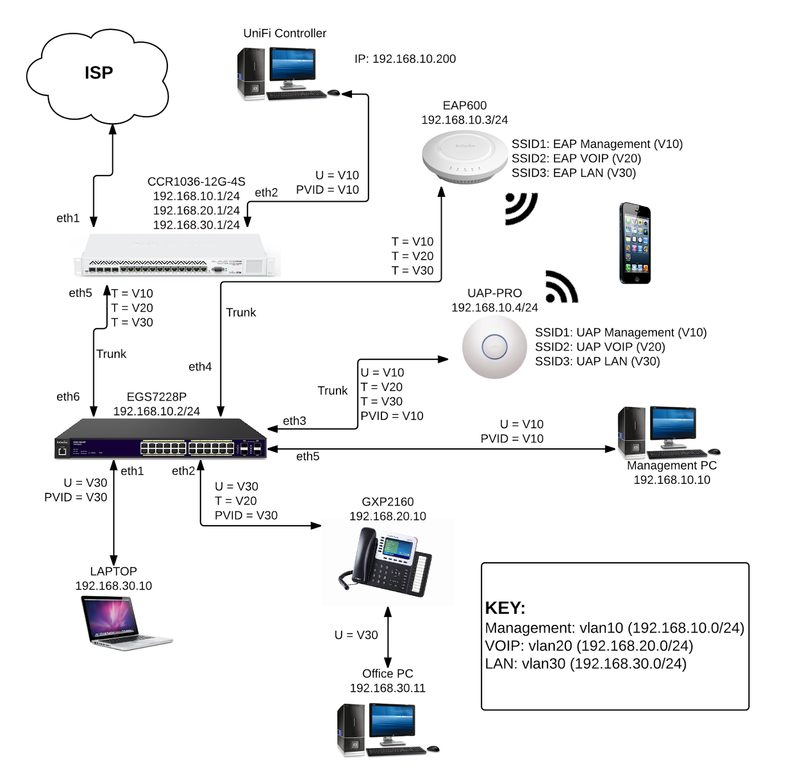 We will create 3 VLANs and configure a combination of trunk and access ports for various devices including UniFi UAP Access Points, EAP600 or other EnGenius Access Points, Grandstream IP Phones as well as both wired and wireless laptops. 1. 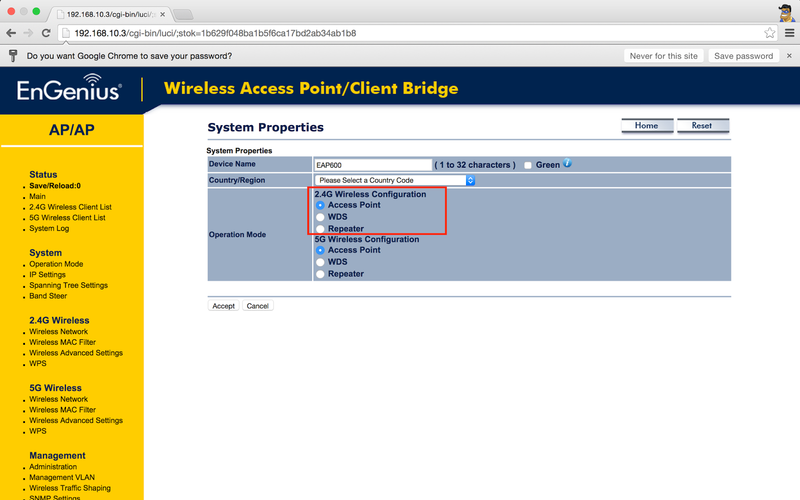 Create 3 bridges (management, voip, lan). 2. 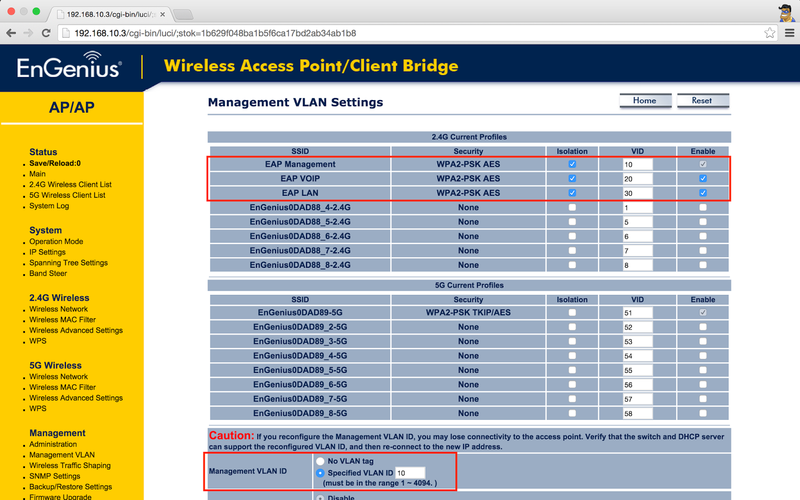 Create 3 VLANs (ether5.10, ether5.20, ether5.30) under ether5 interface. 3. 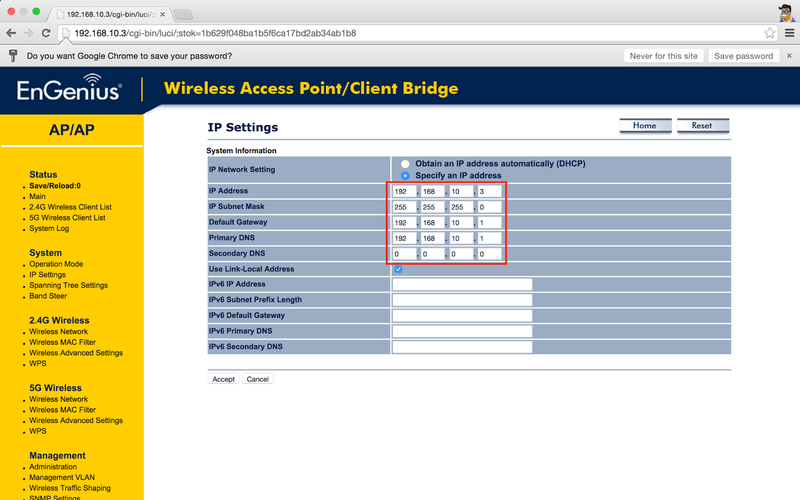 Setup each bridge with its own IP Address and DHCP Server. (management = 192.168.10.1/24; voip = 192.168.20.1/24; lan = 192.168.30.1/24). 4. 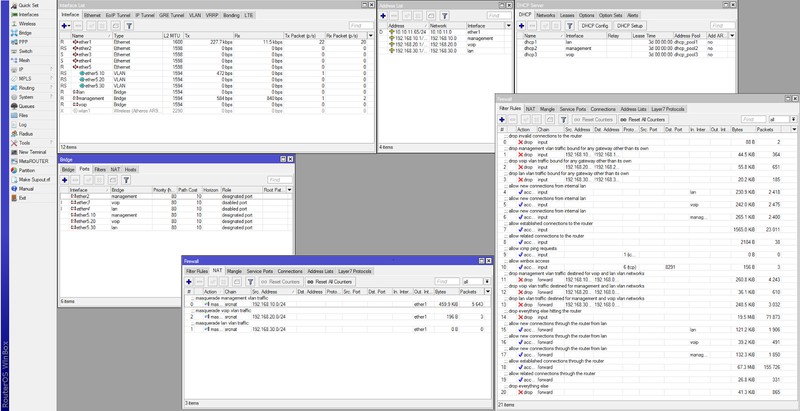 Configure the firewall (optional). add action=drop chain=input comment="drop everything else hitting the router"
1. 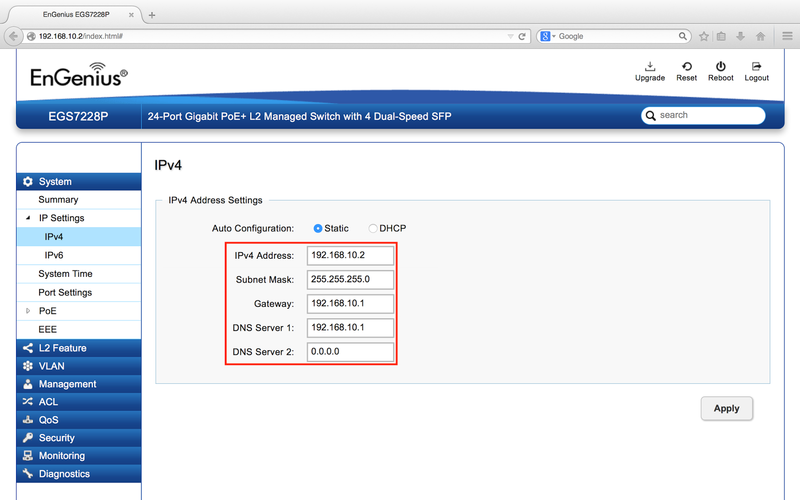 Configure the IP Settings. 5. Remember to Save/Reload to apply all settings. 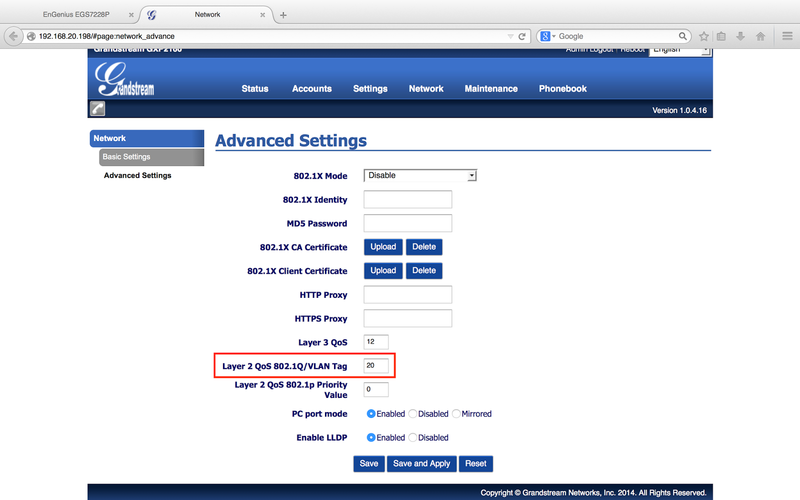 Before testing please disable your windows firewall as this commonly blocks icmp (ping) packets by default. 1. Laptop should be able to ping Office PC and vice versa (192.168.30.11). 2. Laptop should be able to access the internet. 3. Laptop should not be able to ping UniFi Controller (192.168.10.200). 4. 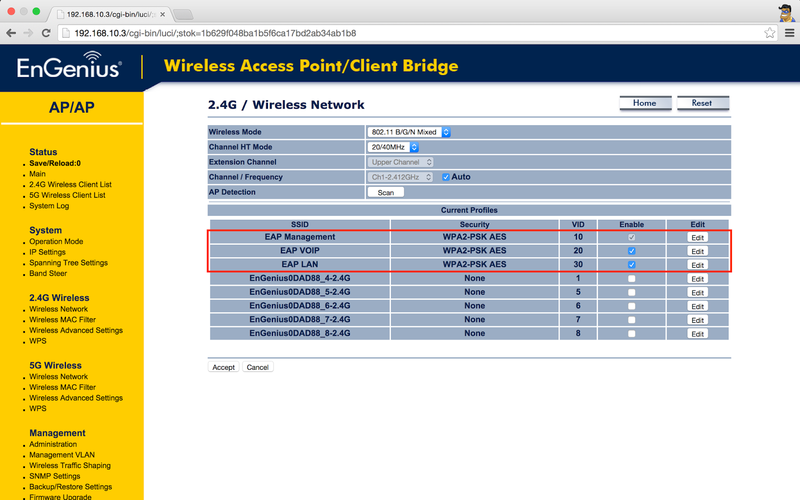 Laptop should not be able to ping GXP2160, EAP600 or UAP-PRO. 5. UniFi Controller PC is on the management vlan and should have full connectivity to EAP600, UAP-PRO, and EGS7228P. Thank you so much. This post solved my trouble.